The overall PC market may be sluggish, but Lenovo still managed to boost sales during its just completed quarter. During the company’s fiscal second quarter ending on Sept. 30, Lenovo reported that its PC shipments grew year-over year by 10.3 percent. During the quarter, the Chinese company was named the world’s largest PC vendor by research firm Gartner. Research firm IDC, however, still ranks rival HP as the top PC vendor with a slight lead ahead of Lenovo. 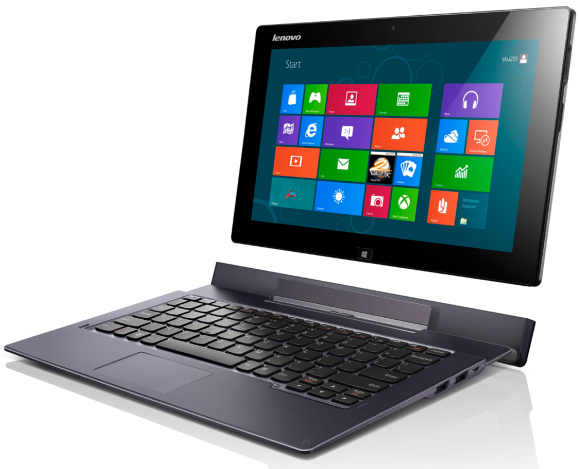 Lenovo is looking to stay ahead of the PC market with products like the IdeaPad Yoga 11, a Windows 8 tablet-laptop hybrid. Lenovo has consistently reported solid growth in its product shipments despite slowing growth in the PC industry, and competition from Apple’s iPad which has cut into sales of laptops. Lenovo has credited the growth in PC sales to its “protect and attack” strategy, with the company maintaining its dominant position in China’s PC market, while expanding into new emerging markets. In China alone, the company’s revenue reached $3.9 billion, accounting for 44 percent of Lenovo’s global sales. That’s helped Lenovo increase its net profit for the second quarter by 13 percent year-over-year. Still, that marks a shift from the high profit growth the company has previously seen. For the fiscal second quarter ending on Sept. 30, Lenovo’s net profit reached $162 million. Revenue for the quarter was a record $8.7 billion, a year-over-year increase of 11 percent. In its fiscal first quarter, Lenovo reported 30 percent year-on-year growth in net profit. Last year, the company saw profit growth almost doubling year-over-year in some quarters. In addition to increased PC sales, the company also saw growth in its Mobile Internet Digital Home group, which sells smartphones. The business group saw revenue reach $718 million in the quarter, up 155 percent from the same quarter last year. In China, Lenovo’s smartphone shipments reached second place, behind Samsung, according to research firm Canalys. Lenovo announced during the quarter it would begin selling smartphones in Indonesia, Philippines, Vietnam and India. Microsoft’s Windows 8, which was formally launched only two weeks ago, could also help grow PC sales.